Bear is going to the swimming hole, but first he must find his friends. There’s a clatter in the tree! Is it Mouse? No. “Who?” calls Bear. Something quickly scampers by! Is it Hare? No. “Who?” calls Bear. Someone seems to be hiding from Bear and his friends. Who is it? WHO? How Bear and his forest friends discover a new friend will enchant young readers of this lovely picture book. 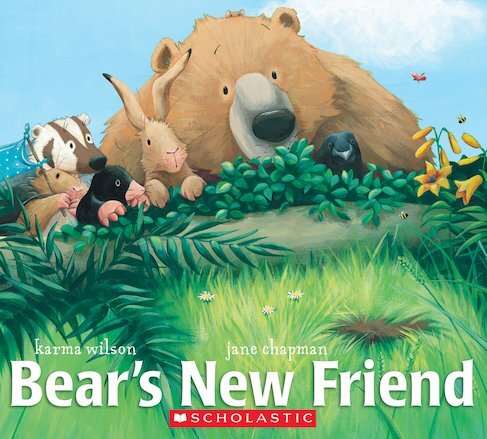 Karma Wilson’s playful text and Jane Chapman’s radiant illustrations make it a perfect summertime read-aloud companion to the bestselling Bear Snores On.